SACRAMENTO, CALIFORNIA, USA, April 8, 2019 /EINPresswire.com/ -- Moxie International, a California based company specializing in concrete vapor and waterproofing products, has formed a relationship with JCZ Holdings (PTY) LTD and Martiq Construction and Consulting, a South African based engineering and construction company, to introduce their ecofriendly Moxie Shield line of products to Africa. Moxie’s full complement of sustainable concrete-enhancing products are all made in the USA. All Moxie products are non-toxic, zero-VOC and qualify for LEED credits. 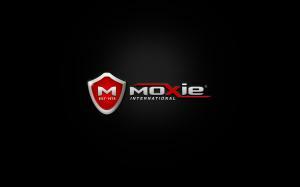 Moxie Shield has been used in the United States for over 4 decades without a single documented failure. These products provide the opportunity for Governments and companies to save millions in initial construction costs and greatly reduce costly repairs over the next several decades. Martiq is well known for it’s engineering and construction both domestically as well as internationally successfully delivering projects for major role-players such as Ford SA, Nissan SA, Gibela Consortium, Atterbury development group. According to Michael Davis, Managing Director of Moxie International this relationship with JCZ and Martiq, allows us to now provide not only ecofriendly cost saving and value enhancing products for construction but opens doors for the introduction of other products as well. It also provides us with the ability to work with local companies that hire local people so we can positively impact the local Economy. Moxie International, JCZ and Martiq will be meeting with leaders in several countries to introduce the Moxie Shield products including but not limited to Lesotho, South Africa, Zambia, Malawi, Zimbabwe, South Sudan and several others. According to Calvyn Scholtz we believe that the response will be very positive with pilot projects being discussed in those countries for 2019.